Honza’s YOYO STORE seems like it would be a childhood dream for many kids all over the world. Since he was 12, Honza has been an eager yo-yoer with several competitions under his belt, and has since become a pillar of the Czech yo-yoing community as well as an organiser and respected judge. Prague is a city full of hidden gems which is why I’m not surprised that this underground community exists. 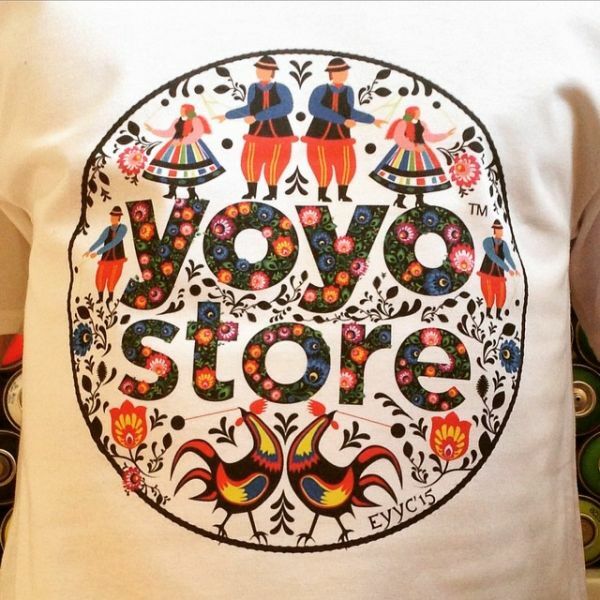 Stepping into the YOYO STORE in Nové Město was a breath of fresh air. An entire wall covered in yo-yos of different shapes and sizes brought out the child within, and out the back – a large chillout area filled with locals, students and walk-ins showing impressive tricks or just relaxing on couches. All around, a really chilled atmosphere. Honza gave me a low-down on the growing yo-yo community in Prague as well as let me in on some of the unwritten rules of living in Prague. Are you originally from Prague, Honza? And how long have you been yo-yoing? I’m not even sure if that’s the right verb to use. Sure it is. Do you know how to use one? Well, I had one when I was younger that I played with quite a lot. A free one from a supermarket. Was it a coca-cola one? Look for it because you can sell them on eBay for like $2000! Well, to answer your question I started with yo-yos when I was about 12 when I was bored. I googled it, but actually “jojo.cz” was a gay bar website. (Laughs), ok so not quite what you were expecting. After I adjusted the search a bit and found out some stuff about it, I started to play with it and got involved in the (then) very small community in Prague (from yoyo.cz). I then met up in a park with some random strangers who were all over 30. Yeah, and then it just snowballed and we organised contests, local and European. Aside from that, in 2009 we started this company which imported Duncan yo-yos – which are the most popular. And then eventually it turned into a store with everything. Very nice. So you started online? Yes, we started with wholesale distribution then we needed a warehouse. I found a really really small storage place near where I lived. We opened it up and discovered that kids actually took time to go there. So then we started to do yo-yo lessons for free. They would come and we would teach them whatever. Then there were too many of them and we were selling enough yo-yos to rent something larger, so we moved here. Ok and how is business so far? Ups and downs, it depends on the season. It depends on whatever school has a yo-yo hype at the time. Yes, I remember my school had two or three yo-yo crazes. How often does it happen? Well, once every 5 years there is global boom which usually starts in Japan. There is a company called Bandai, a massive toy manufacter, and every 5 years they do a huge yo-yo promotion that kids go crazy for, so that spike continues to the USA then slowly to Europe. Then it dies down and happens again. In the Czech Republic you can see a similar pattern. So it’s getting more popular here? We have definitely seen growth in the community. More active kids, more contests. More and more people are doing something rather than just picking it up for ten days then throwing it away. That’s good, and what do contests involve? Is it based on whoever can do the best tricks? It depends on the size. If we have the Czech nationals, which is the biggest national contest in Europe, there are several divisions with girls, beginners and advanced. Then you have the pros and the 5 styles of yo-yoing. One with the yo-yo attached to your finger, one style with a yoyo in each hand and a counterweight, or you have a yo-yo which isn’t attached to a string. People have their own music, and they show the best tricks that they can do and 5 judges have a complicated way of evaluating them. Is it like gymnastics when they hold up a sign with a score? The best one the community could come up with after 20 years of competitive yo-yoing was.. You know those clickers that you use to count people? So you have two of them, one for positive points and one for negative. There is evaluation of technique which is 60%, then 40% for performance divisions which involves stage movement, interaction – this part is similar to maybe figure-skating. Then you put it into a really complicated Japanese YoYo association approved excel spreadsheet. Sounds quite complex. And do you judge sometimes? Yes, I organise stuff and judge too. Cool, and how many competitions do you have roughly? 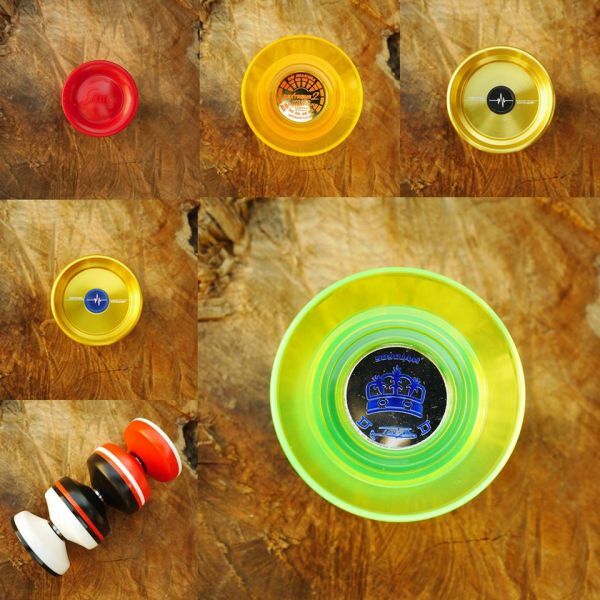 Right now, this year there will be more than 10 which are involved in the Czech Yoyo Cup where you adopt the points to have an ultimate winner at the end. We even have different competition levels; A+, A, B and C. As well as different skills and different divisions – depending on the size of the contest. Which competitions have you competed in? Well I don’t compete much anymore, but I won the Czech nationals in 2006. So congratulations for your win in 2006! After that I started organising contests and going to European and worldwide ones. And which is the biggest or best to go to? Well definitely you have the World YoYo Contest which is the biggest thing there is. In 2014 we did it in Prague. It used to be in one place in Florida, in a horrible hotel convention centre. But after 15 years we managed to negotiate with the organiser and take it. And now we have managed to move it around the world. This year it will be in Tokyo, which will be exciting because ALL the major players are there. And you’re going to that one? I hope so. If I sell enough yo-yos! Do you have a favourite yo-yo? Well whatever one I have with me. There are so many of them so you’re always trying new ones. It’s like trying new cars. It’s weird, but good. Are there any really special ones with crazy decorations or functions? Well, the Japanese have some. They have a yo-yo made from space age materials that is $600… and people actually buy it. It spins forever and is very precise, but I think it kind of takes the fun out of it. It’s like a surgical instrument, it’s no longer a toy. What’s a good yo-yo to start with? There are three or four that you can buy, but right now the best one would be a YoYo Jam Classic, which is an American made yo-yo for 275 Kc. Nice that is very reasonable, and I see that you have a little chillout space here in the shop. A good idea. Yeah, during the mornings it is usually busy with college students and later on kids from schools come in and throw their backpacks somewhere and just chill out, exchange tricks or have little contests like whose yo-yo can spin for the longest or who can get it back to their hand in the most exciting way. They also help entertain the dog we have here. So you have a social space and a store. Yes, but we don’t try to be weird about it like those other offical hangout places. We let them do whatever they want in here. Affordable, once you understand the unwritten rules it is friendly. What are some of these rules? Well, you don’t have to communicate with everyone. You have to know where you’re going. If you wander around and look for something special, you’re not going to find it. You have to know the good places. It can be great to get away from people too. It can be both quiet and busy. Ummm. The 50s, 60s and 70s in the USA. That’d be interesting and after that I’d have to really think about it. Probably something in Asia. If there was a movie about your life, which actor would you choose to play you? Well, it’s not like in the USA or English speaking countries, we don’t know actors very well here. So I don’t know, Steve McQueen or something. Free yo-yo lessons also happen in-store on Tuesdays and Wednesdays. Yo-yos are available to borrow if you don’t have one already. Check out their range of yo-yos and also their new range of frisbees. Definitely a cool place to visit before summer hits the parks. Find them on their website and Facebook for more info. Written by Ryan Keating-Lambert. 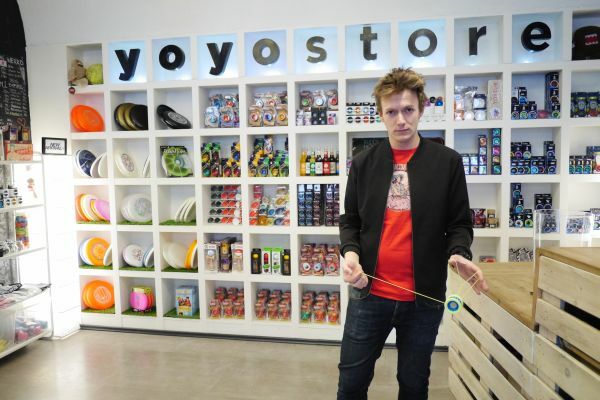 Photos from the YOYO STORE.